The village Ananthasagar is in newly formed Siddipet district of Telangana. Sri Saraswathi Kshethram in Ananthasagar is one of the famous temples of Goddess Saraswati. In this temple, Goddess’s Mulavirattu is in standing pose. 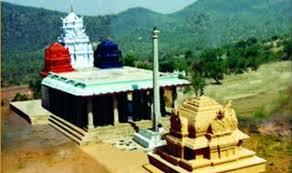 The temple was built in 1980 by Sri Ashtakala Narasimha Rama Sidhanthi. He is a teacher by profession and he is an Ashtavadhani, Vastu Shastra expert & Astrologer. He constructed & developed the temple without donations.